Clickbait: Science Answers Awesome Questions! Home › More News › Clickbait: Science Answers Awesome Questions! Have you ever wondered what would happen if the earth suddenly stopped? 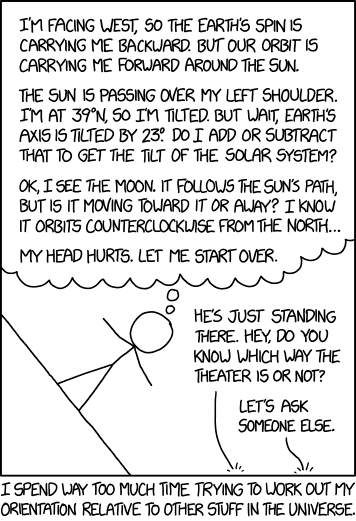 What about if the moon disappeared? Ever wondered how you could get these questions answered? There are an amazing number of scientists eager to share their knowledge and expertise with amateur enthusiasts. Some have written books or articles in magazines, but others post answers online in the form of articles, comics, or even videos. Have a look at these great resources we've collected!